As more Africans get online, information and communication technologies (ICTs) are increasingly hailed for their transformative potential. Yet, the fascination for the possibilities of promoting more inclusive forms of development in the information age have obfuscated the reality of the complex negotiations among political and economic actors who are seeking to use technology in their competition for power. Building on over ten years of research in Ethiopia, Iginio Gagliardone investigates the relationship between politics, development, and technological adoption in Africa's second most populous country and its largest recipient of development aid. 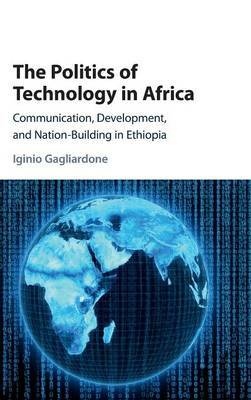 The emphasis the book places on the 'technopolitics' of ICTs, and on their ability to embody and enact political goals, offers a strong and empirically grounded counter-argument to prevalent approaches to the study of technology and development that can be applied to other cases in Africa and beyond.